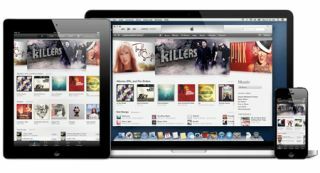 Apple releases iTunes 11 with new look and new features | What Hi-Fi? UPDATE: Apple has released iTunes 11. You can download the new version by hitting 'Check for Updates' in iTunes or heading to the Apple website. The new version promises to be the biggest redesign of iTunes yet, bringing better iCloud and iTunes Store integration and a new iPhone-style interface. Improved search, a neater mini pop-out player and the end of Ping, Apple's ill-fated social music interaction, are other iTunes 11 highlights. The new version was originally scheduled for release at the end of October but was delayed and put back to "November", a vague deadline which Apple has managed to meet (just). The interface is now uniform across all devices, and even better you can pause playback on one device, say your laptop, and then carry on playing where you left off on another device, such as your iPhone. There's also a new iTunes logo and the promise of faster browsing, search and syncing with iCloud. Apple has confirmed that iTunes 11 has been delayed and will now be released some time "before the end of November". Originally predicted to be announced alongside the iPhone 5 or the new iPads, iTunes was then pushed back to October. An Apple spokesman has now confirmed the latest version of the software has been delayed and will be out some time in November. Tom Neumayr, Apple, told AllThingsD: "The new iTunes is taking longer than expected and we wanted to take a little extra time to get it right. "We look forward to releasing this new version of iTunes with its dramatically simpler and cleaner interface, and seamless integration with iCloud before the end of November."